For parents and caregivers who deal firsthand with the epidemic of childhood obesity, this creatively designed booklet offers solid nutrition guidance, fitness tips, and sample menus and recipes. Put your child on track for a healthier life! 17 pages. Free Shipping (U.S. only). 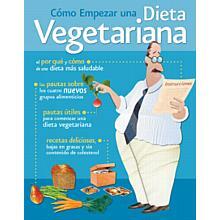 Nutrition For Kids (Spanish Language) has been added successfully to your wishlist.